The Kansas House chamber as the budget was being considered. 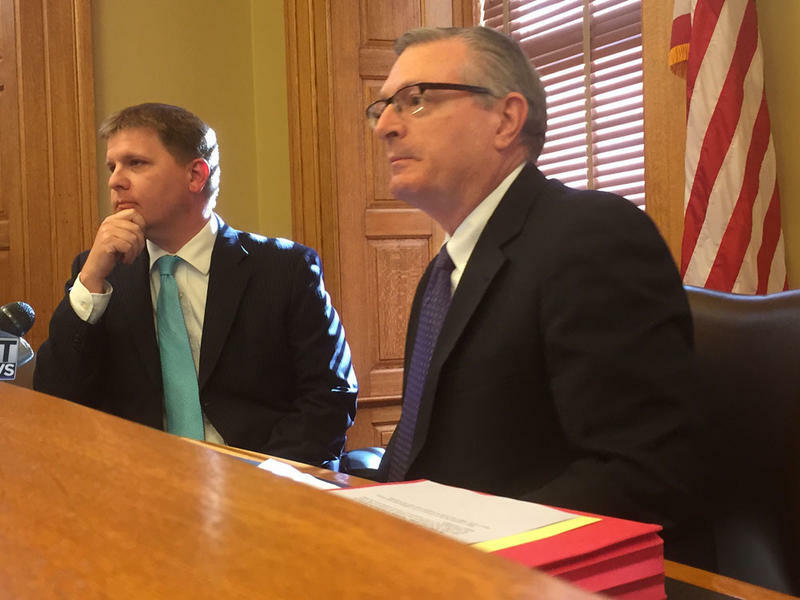 Kansas lawmakers struggled over the weekend working late nights trying to craft a budget solution. Ultimately, they approved a plan in the early hours of Monday morning. 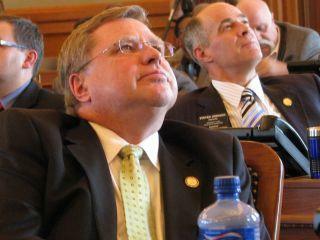 Kansas lawmakers had to find budget cuts and adjustments or tax increases that added up to nearly $300 million. The votes to increase taxes weren’t there, so they took another strategy: cutting. “The Historical Society will lose $130,000. The Department for Children and Families will lose $4.2 million,” said Democratic Rep. Jerry Henry. “There are a number of very painful, painful cuts that will be enacted by this budget and those cuts will be received by some of the most vulnerable people of our society." The bill still leaves it to Gov. Sam Brownback to do more than $80 million in trimming to keep the budget balanced. But the top budget writer in the House, Republican Ron Ryckman, says they took an important step in directing those cuts. They exempted K-12 public schools from losing any funding. “When we passed the block grant bill last session, one of the things we stated was that this was stable and secure funding in insecure times. Tonight is a continuation of that commitment,” Ryckman said. 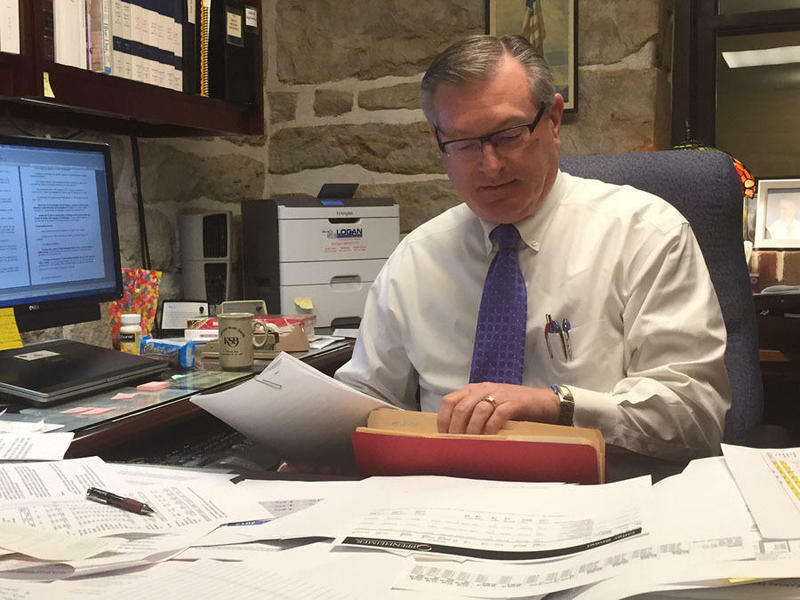 Even with that direction, Republican Sen. Greg Smith says lawmakers abdicated their constitutional responsibility to craft a truly balanced budget. “The sole power of the purse belongs to the Legislature and for the last two budget cycles we’ve told the governor ‘OK, we’ve got it this far, you take it the rest of the way,’” said Smith. Republican Senate President Susan Wagle says they didn’t do anything wrong by requiring the governor to make some of the budget decisions. “That’s what our Constitution allows for. When there’s a shortfall, the governor is allowed to make cuts. We just gave this governor flexibility in the cuts and that it doesn’t have to be across the board,” said Wagle. When those cuts are being made, they wouldn’t apply evenly across higher education. The bill says universities will take cuts proportionally based on the size of their total budgets, so the biggest schools get deeper cuts. Democratic Sen. Laura Kelly says that’s simply unfair. “You are punishing KU and K-State for being big research institutions and you are using the money that they bring to the state against them,” Kelly argued. In both chambers the bill took hits for not fixing what some see as the underlying problem, that tax cuts have caused financial instability. “We haven’t done anything to stop the bleeding yet. We’re just going to continue to bleed and bleed and bleed. This budget isn’t going to be any better than next year’s,” said Democratic Rep. Sydney Carlin. Republican Sen. Ty Masterson countered, saying they’re tackling the state’s challenges while reducing the footprint of government, rather than increasing taxes. “I contend we do tax our people enough. This is the proper action to take," Masterson said of the spending cuts. In both chambers some lawmakers objected to delaying nearly $100 million in state pension payments and taking money from the highway fund. And, in both chambers it took the leadership time to apply pressure and get the votes needed. Eventually, enough lawmakers took the view of Republican Sen. Mitch Holmes, who initially voted against the bill. “We have to do our job here. I didn’t run for office to come up here and to vote no and criticize. I voted to take responsibility. Therefore, I’m switching my no to yes,” said Holmes. And with that, the votes were there. With the budget passed lawmakers finished their work and left town. They’ll be back for the ceremonial last day in June, to officially put the 2016 session in the history books. Stephen Koranda is a Kansas Statehouse reporter based at KPR. You can find him on Twitter, @KPRkoranda. 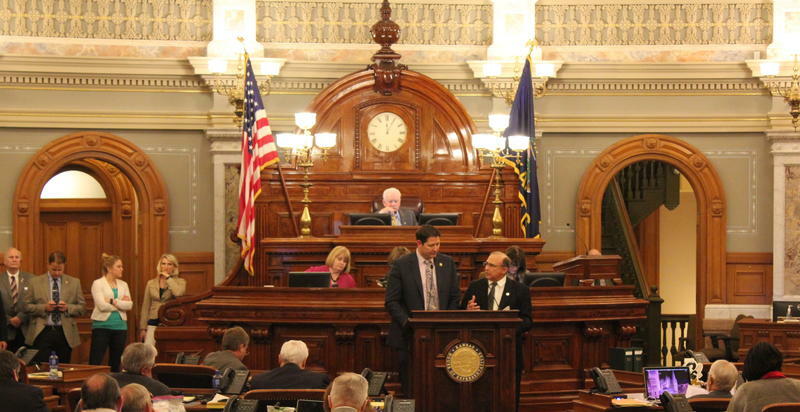 The Kansas House shot down a plan to return some 330,000 Kansas businesses back to the income tax rolls Friday, voting 45-74 on the measure. A tax conference committee made up of House and Senate negotiators agreed to push the measure forward for a floor vote as the Legislature tries to close a budget gap, adjourn the session and head back to the campaign trail. Kansas officials got the bad news they were expecting Wednesday. After reading the economic tea leaves and noting that state tax collections have been short of expectations in 11 of the past 12 months, the Consensus Revenue Estimating Group reduced its revenue projections for this budget year and the next by $228.6 million.